At Formation we love when a brief comes in to create funny, loveable animal characters. After watching our dancing CG chicks for Asda moonwalk across my screen I had the realisation that in the last year we’ve witnessed a huge increase in CG animal appearances in films, advertising and on social media. This outbreak has also brought with it animal memes, videos and merchandise and we are now receiving more interest in our CG animal creation than ever before. 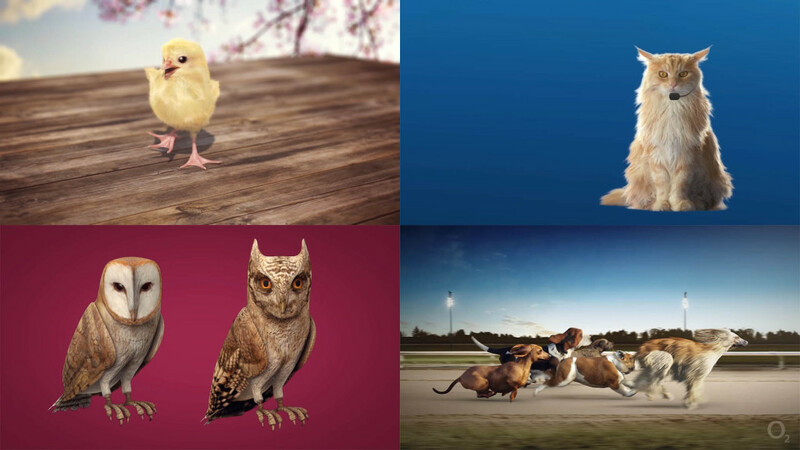 Below I look at a few key players coming aboard the Arc and why more and more brands are turning to VFX for their animal stars. It was 10 years ago when ‘Babe’, the talking sheep-pig and his friends hit our screens. The creation of former-VFX and Character Animation studios Rhythm and Hues, Babe was crafted through a painstakingly laborious process of facial CG modelling and scene-by-scene tracking, lighting, fur replacement and rotoscoping. 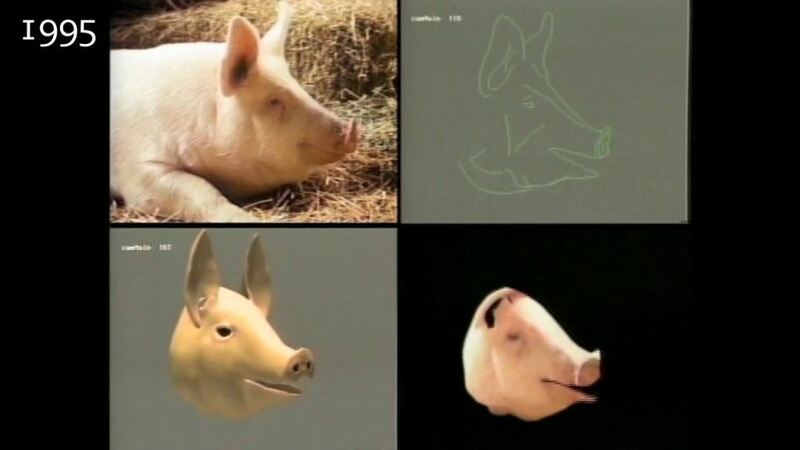 Since then we have seen film budgets squeezed and treatments become increasingly ambitious, forcing the VFX industry to seek out new technologies and techniques to simplify CG animal manipulation. 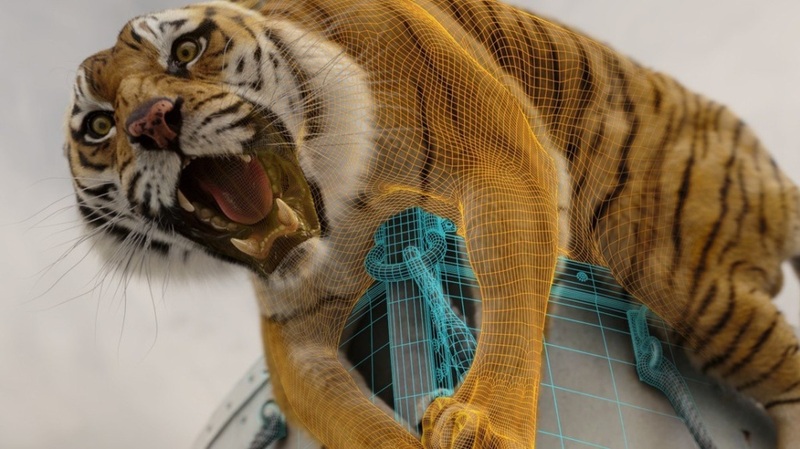 With improved efficiencies we now are beginning to see some wonderful examples of near full-CG animals, such as the stunning Richard Parker, the CG tiger brought to life for The Life of Pi. With continually advancing skillsets of VFX artists the ability to use CG animal manipulation and full photo-real CG animation is increasingly accessible. CG animals are now not only featuring on the big screen but playing a prominent part in advertising. We’ve become accustomed to seeing talking cats, dogs, bears, horses and monkeys transformed with clever tweaks to their mouths and faces. The adorable animals often used in campaigns instantly help connect with audiences, reminding us of ourselves and our pets. A particular favourite of mine in the ‘talking animal’ category is last year’s charming Marvin Gaye Cat and Budgie ad for Freeview which left me reminiscing about my own childhood cat and budgie; Lottie and Murphy, and their entertaining interactions. Everyone knows that animals do the funniest things and CG manipulation can easily add extra humour and create positive emotional associations with a campaign. This is the approach recently taken by Mars who have turned to CG to create the mouth for their pan-pipe playing hound and continue the trend for zany confectionery ads. Using the Creature Comforts winning formula of talking, animated animals we have seen a long-running Meerkat frenzy surrounding the ‘Compare the Market’ campaign. By creating a charming but complex animated character, Aleksandr Orlov, deeply frustrated by the confusion between comparethemarket.com and comparethemeerkat.com people fell in love and the outcome was viral, opening up opportunities for future spin-offs and merchandising. Since the launch of the campaign Compare’s quote volumes have increased by over 83% and it is now number 1 in spontaneous awareness and consideration. Humans are hardwired to respond to animal stimuli. Whether cute and fluffy or ugly and threatening, neurons in the brain actually responds preferentially to pictures of animals rather than those of buildings and people, this is quite handy when it comes to winning an audiences attention. Specific animals are chosen for their characteristics and CG can be used to enhance their effect in supporting messaging. O2 manipulated live footage of Jonesy the cat to accessorise him with a CG microphone for his fearless TED Talks-esque spot in the “be more dog” campaign while Money Supermarket turned to full photo-real CG for their gigantic Elephant, sashaying through NYC with noble swagger to communicate their point. 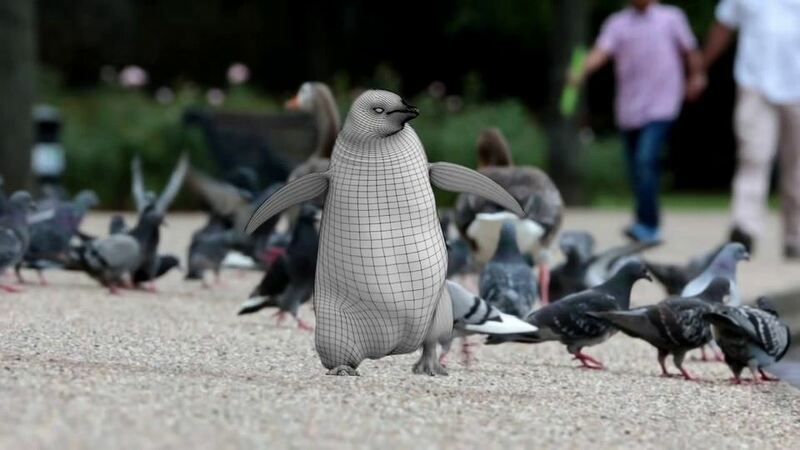 Life-like CG animals are also being turned to as they can be manipulated to act in out-of-the-ordinary ways that fit the needs of the ad and display relatable human qualities that deepen the emotional connections with viewers. 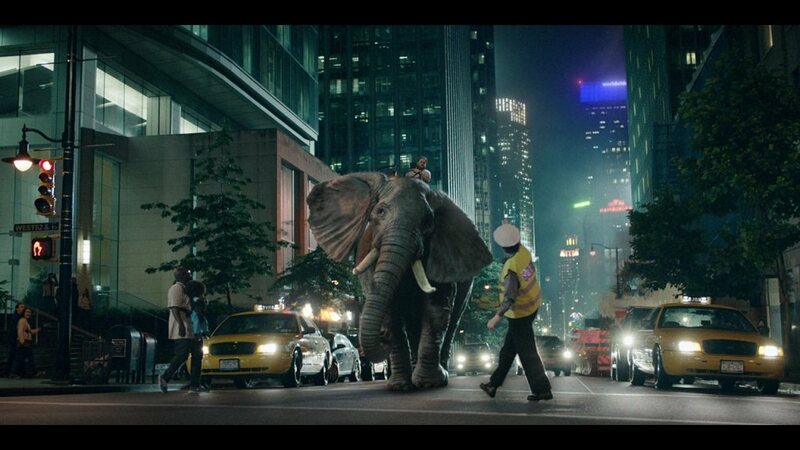 A stunning recent example of this was SSE’s advert “seeing energy through fresh eyes” featuring Maya, an all-CG Orangutan who captivated hearts as she explored the city marvelling like an inquisitive tourist. The campaign aimed to highlight how SSE is trying to make a difference and earn people’s trust in energy firms however it evoked such an emotional response from viewers that it sparked some controversy regarding the recent practices of energy firms. And finally how we can forget Monty, the John Lewis Penguin, modelled to interact with Charlie and meet his longed-for companion in the heart-warming John Lewis Christmas campaign.Through creating a life-like penguin that could ride the bus, play with Lego and catch fish fingers John Lewis’ Monty generated a media frenzy, with over 6.9million views in it’s first 24 hours of being online. The successful campaign was also supported by an in-store merchandising campaign that has left a lasting impression and positive association with the store for Christmas 2014. So with improved technologies CG animal creation and manipulation is becoming more and more accessible to brands. By pairing the right CG animals with a campaign the impossible can be made possible and deeper relationships forged with the viewer. Engaging, likeable CG characters can give campaigns the helping hand to go viral overnight and provide avenues for future marketing efforts, proving that a dog made in CG really can be man’s best friend.